A swine flu outbreak that appears to have caused fatalities in humans in Mexico and nonfatal cases in the United States prompted the World Health Organization (WHO) this weekend to urge countries around the world to be alert for suspicious cases of influenza. WHO Chief Margaret Chan says the global body is taking the outbreak very seriously, though comparisons with the 1918 epidemic are premature. Where do outbreaks occur ? What are the signs and symptoms of swine flu in people ? How high is the risk of a pandemic ? How do you catch swine flu ? · Through contact with infected pigs or environments contaminated with swine flu viruses. · Through contact with a person with swine flu. Human-to-human spread of swine flu has been documented also and is thought to occur in the same way as seasonal flu. 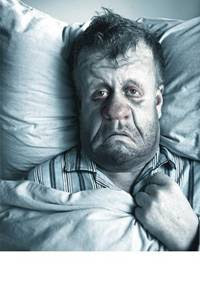 Influenza is thought to spread mainly person-to-person through coughing or sneezing of infected people. Are there medicines to treat swine flu ? Yes. The use of oseltamivir or zanamivir has been recommended for the treatment and/or prevention of infection with these swine influenza viruses. Antiviral drugs are prescription medicines (pills, liquid or an inhaler) that fight against the flu by keeping flu viruses from reproducing in your body. If you get sick, antiviral drugs can make your illness milder and make you feel better faster. They may also prevent serious flu complications. For treatment, antiviral drugs work best if started soon after getting sick (within 2 days of symptoms). How long can an infected person spread swine flu to others ? · If you get sick with influenza, it is recommended that you stay home from work or school and limit contact with others to keep from infecting them. Avoid touching your eyes, nose or mouth. Germs spread this way. If you are sick, you should contact your Health Care Centre for consultation. Stay home and avoid contact with other people as much as possible to keep from spreading your illness to others. Can I get swine influenza from eating or preparing pork ? Health Benefits of Asparagus ! 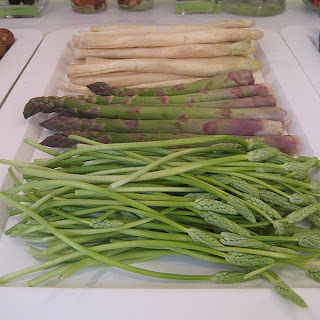 Three types of asparagus on a shop display, with white asparagus at the back and green asparagus in the middle. The plant at the front is Ornithogalum pyrenaicum, is commonly called wild asparagus. Several years ago, I had a man seeking asparagus for a friend who had cancer. He gave me a photocopied copy of an article,entitled, `Asparagus for cancer' printed in Cancer News Journal, December 1979. I will share it here, just as it was shared with me: 'I am a biochemist, and have specialized in the relation of diet to health for over 5 years'. Several years ago, I learned of the discovery of Richard R.Vensal, D.D.S. that asparagus might cure cancer. Since then, I have worked with him on his project. We have accumulated a number of favourable case histories. I was not surprised at this result, as 'The elements of Material Medica', edited in 1854 by a Professor at the University of Pennsylvania, stated that asparagus was used as a popular remedy for kidney stones. He even referred to experiments, in 1739, on the power of asparagus in dissolving stones. As a biochemist I am convinced of the old saying that 'what cures can prevent'. Based on this theory, my wife and I have been using asparagus puree as a beverage with our meals. We take 02 tablespoons diluted in water to suit our taste wit breakfast and with dinner. I take mine hot and my wife prefers hers cold. The last blood survey, taken by a medical doctor who specializes in the nutritional approach to health, showed substantial improvements in all categories over the last one, and we can attribute these improvements to nothing but the asparagus drink..
Nasal polyps are noncancerous growths which spontaneously form in nasal passages for largely unknown reasons. There may be a connection between the formation of nasal polyps and allergic rhinitis, but a runny nose alone does not always trigger nasal polyps. Some medical experts suggest a link between sinus infections and the increased likelihood of polyp formation, but others suggest that the majority of nasal polyps form idiopathically, meaning there is no definitive cause. Symptoms of nasal polyps include blocked nasal airways, sudden onset of snoring, reduction in senses of smell or taste, and discolored nasal mucus. The polyps themselves may appear as enlarged sacs of mucus with a jelly-like consistency. Unlike benign or malignant polyps which may form in other areas of the body, nasal polyps are not usually attached to the skin and are not usually viewed as evidence of a more serious medical condition. There are several different courses of treatment for nasal polyps, most of which involve the application of anti-inflammatory drugs such as steroids. Nasal sprays containing steroids generally shrink the nasal polyps themselves while antibiotics may address any secondary infections. Significant amounts of discolored nasal mucus is often a sign of infected nasal polyps residing out of sight in the upper nasal passages. A medical professional can use a special instrument to examine nasal passages for the development of nasal polyps. On rare occasions, nasal polyps may become problematic enough to require surgical intervention. 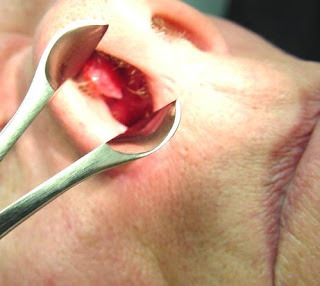 Complete blockage of nasal airways by enlarged nasal polyps, for example, could require an aspiration procedure, meaning the polyps would be carefully drained by a surgeon and the patient would be given antibiotics to counteract post-procedural infection. Self-treatment of nasal polyps is strongly discouraged, since the punctured sacs of infected mucus may not heal properly, or possibly cause scar tissue to form in the nasal passages. Nasal polyps are soft fleshy swellings that grow inside the nose. They may be yellowish, grey or pink in colour. They are common and are not cancerous (that is, they are benign). Nasal polyps can vary greatly in size. There may be only one but sometimes several grow like a 'small bunch of grapes' on a stem. In most cases the cause is not known. It is thought that ongoing (chronic) inflammation in the nose causes overgrowth of the lining of the nostril. This can sometimes lead to small polyps forming. These may then gradually grow larger. Polyps usually affect both nostrils. The cause of the inflammation is unclear in most cases. However, certain conditions make nose inflammation and polyps more likely. These include: asthma, allergy to aspirin, cystic fibrosis, and some rare conditions of the nose. Who gets nasal polyps ? About 1 in 100 people will develop nasal polyps at some stage in their life. Nasal polyps can affect anyone. However, most cases occur in people over the age of 40 years. They are four times more common in men than in women. Nasal polyps are uncommon in children. A child with nasal polyps should also be checked for cystic fibrosis as cystic fibrosis is a 'risk factor' for developing nasal polyps. What are the symptoms of nasal polyps ? * The main symptom is a blocked feeling in the nose. You may find it difficult to breathe through your nose. You may then have to breathe through your mouth for much of the time. This is especially troublesome at night and your sleep may be affected. * Watering from the nose (rhinorrhoea) is common. * A 'post nasal drip' may occur. This is the sensation of something continually running down the back of your throat due to mucus coming from the back of large polyps. * Your sense of smell and taste may be dulled or lost. * A blocked nose may make your voice sound different. * Larger polyps may cause headaches and snoring. * Very large untreated polyps can make your nose and front of your face enlarge. * Sometimes polyps block the drainage channel of the sinuses. This can make you more prone to sinusitis (infection of the sinuses). Do I need any tests ? An ear nose and throat specialist can usually diagnose nasal polyps from their appearance. Sometimes a CT scan of the front of your face is ordered. This may be done to find out how large the polyps are, or if they are also in your sinuses. A small flexible telescope may also be used to look inside your nose and assess the extent of the polyps. Cabbage has long been noted for its ability to help people lose weight. From the cabbage soup diet to eating cabbage in other recipes, cabbage can help people lose weight and keep the weight off. What you may not realize, however is that Cabbage is full of many vitamins and minerals. It has been a staple food throughout many parts of the world and is a beneficial addition to any person’s diet. 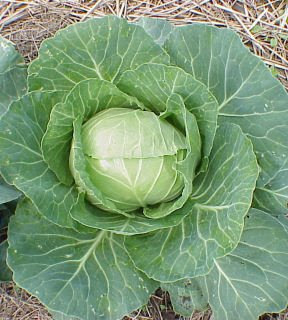 Cabbage is a member of the Cruciferae or Brassicaceae family of vegetables. These are commonly referred to as crucifers or the cabbage family. Cabbage is related to the wild mustard plant and is low in carbohydrates. Cabbage may be eaten raw as served in coleslaw, or it may be cooked and used for soups, stews, and borscht. In Germany, cabbage is pickle in vinegar and served as Sauerkraut. Also, throughout history cabbage has been harvested for its medicinal purposes. It is high in amino acids and is believed to help those who are suffering from any type of inflammation. In addition to being low in carbohydrates, cabbage is also an excellent source of Vitamin C. In fact, one serving or cup of cabbage provides more than 50% of the daily requirement for Vitamin C. It is also an excellent source of Vitamin K. One cup of cabbage provides more than 90% of the recommended daily allowance. Vitamin K plays an important role in helping the body fight against invaders and bacteria. Since cabbage is high in Vitamin K, it helps to strengthen the Immune system and help the body fight against sickness and disease. Cabbage is also a rich source of dietary fiber, providing nearly 15% of the daily recommended requirement. Fiber is very important for ensuring that the body’s digestive system is functioning and regular. Eating cabbage is a great way to ensure that your digestive track is functioning at optimum level. In addition to being high in Vitamin K, Vitamin C, and dietary fiber cabbage also has many other nutrients that makes it a great food source. It contains Manganese, Vitamin B6, Folate, Omega 3 Fatty Acids, Vitamin B1 and Vitamin B2, Calcium, Potassium, Vitamin A, Tryptophan, Protein, and Magnesium. It may be the amount of calories that has helped make cabbage a great food choice for those who are dieting or watching their weight. One serving (one cup) of cabbage contains a mere 33 calories. This is why those who are on the cabbage soup diet can eat endless amounts of the soup without gaining weight, while still feeling healthy. There are many diets that promote a sense of well being, but cabbage is an excellent choice of many nutrients and minerals making it a great choice for those watching their weight. However, it is important to realize that cabbage is low in both carbohydrates as well as protein. It is a vegetable and therefore its nutritious sustenance is compromised mostly of vitamins and minerals. Yet when cabbage is added to a healthy diet, its nutritional content is abundant.